On March 3, 2018 nine healthy puppies have been born in our kennel. 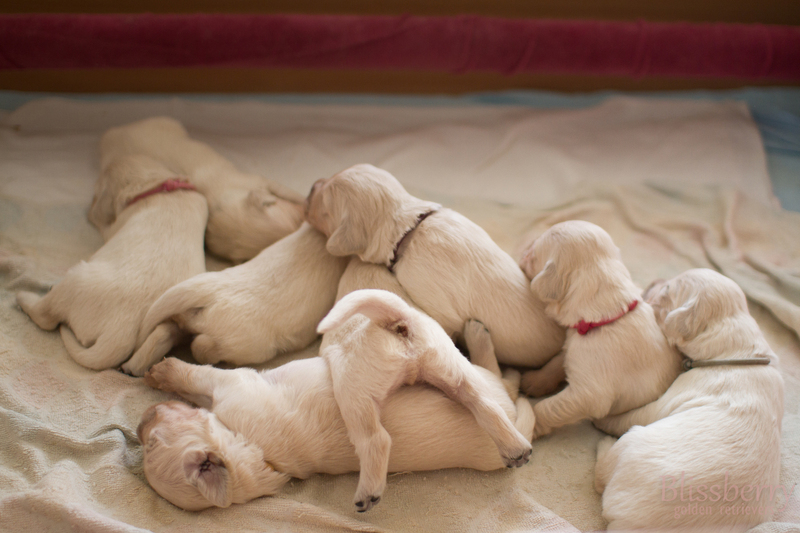 The 5 boys and 4 girls are the Blissbery “Kisses” litter. The parents of the litter are Ch. Zampanzar BLUE NOTE (HD-A, ED 0/0, PRA-1&PRA-2 clear, ICT-A clear, eyes clear) and our MALINA Rozmachany Ogon (HD-A, ED 0/0, PRA-1&PRA-2 clear by parentage, eyes clear, heart normal). You can check out the litter’s pedigree HERE. Puppies will be ready to leave for their new homes in the beginning of May. They will be dewormed, vaccinated and microchipped. We still have two boys available for loving homes. We breed occasionally and sometimes we have golden retriever puppies available for sale. 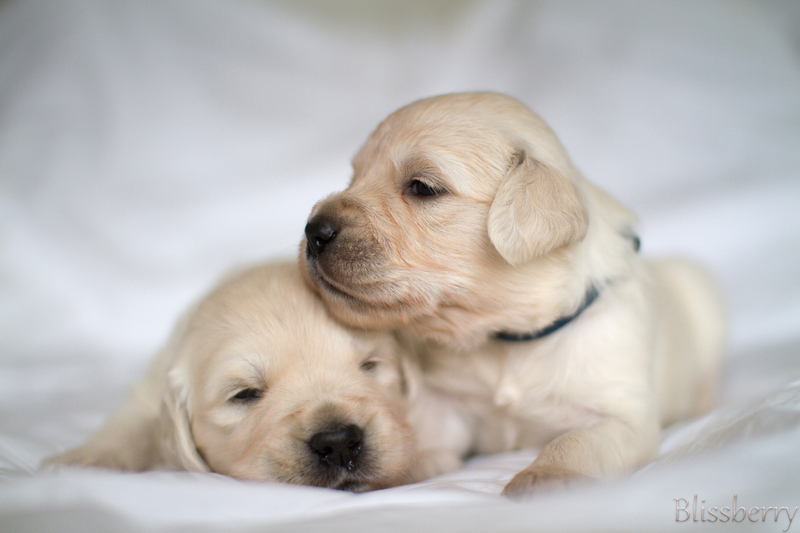 We do our best to ensure that all our puppies will be of good health,temper and appearance. As much as we appreciate good pedigrees, we think there is much more to breeding than just looking for great ancestors. Therefore we only use dogs that next to having the right looks and a good pedigree are healthy and good-tempered.